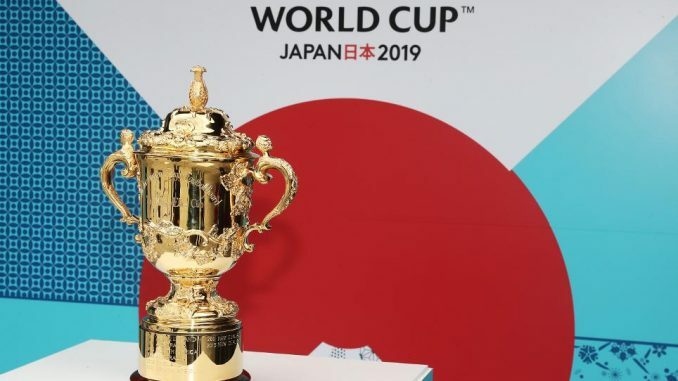 Lets take a look at the prospects for the opening stage of the Rugby World Cup 2019 in Japan. The Rugby World Cup Tournament is different than normal tournaments. The pressure is on to win every game as the top two teams will move on in the Pool Stages. Ireland’s form over the last 18 months has made them the northern-hemisphere favourites for the World Cup but, if the pool stage should hold few alarms for the Six Nations champions, the schedule may. They play Scotland, who look their main rivals for the group, on the opening weekend, leaving them potentially underdone going into the quarter-finals. That said, Joe Schmidt’s side would be playing the runner-up in Pool B, whose two main teams – New Zealand and South Africa – also meet first up. After defeating all the other tier-one nations in the past 12 months, the question whether Ireland have peaked too soon will be answered during the Six Nations. They start at home to England and finish against Wales in Cardiff, matches that will have more than a European dimension. But I feel Ireland will have a good RWC. Scotland had a mixed November, with their away form remaining a concern, but what makes the pool intriguing is the presence of the hosts, Japan. Their four matches are spread over 23 days, the most of any team in the tournament; they have had unprecedented access to tier-one nations since the last World Cup, in which they only lost once, to Scotland; and they will have the advantage of being familiar with the climate. They finish with Scotland and their aim will be to still be in contention for the quarter-finals. They start with Russia, coached by the former Wales flanker Lyn Jones, whom they played last weekend and narrowly defeated after trailing by 16 points in the first half. The Russians have had a mixed year, thrashing Canada and Namibia but conceding 62 points to the United States. Samoa have disappointed in the last two World Cups and, despite a strong squad, their form this year has again been underwhelming. New Zealand remain No 1 in the world but, having lost to South Africa and Ireland this year after squaring the series with the Lions in 2017, they may appear vulnerable. However it was pointed out the the Autumn tour was on the back of a heavy schedule for players coming off Super 15, and the Rugby Championship etc. However the lead up is better for the All Blacks in 2019 with the Rugby Championship truncated to three matches, the All Blacks will follow the Bledisloe Cup match against Australia with a fixture against Tonga before they leave for Japan to prepare for their opening game, and their only demanding one in the pool will be South Africa. New Zealand are defending RWC Champions and will be ready. The Springboks have rallied under Rassie Erasmus, although their former centre Brendan Venter has questioned whether there has been an improvement given they lost more matches than in 2017 and scored fewer tries. Bare statistics are one thing but they won the series against England, defeated the All Blacks away for the first time since 2009 and were within a couple of minutes of recording the double. Canada were the final team to qualify for the group stage after winning the repechage. Coached by Kingsley Jones, formerly of Gloucester, Sale and the Dragons, and Henry Paul, capped by England in the centre after switching codes, success will be measured by their result against Namibia. Canada’s matches are spread over 17 days, the fewest in the tournament along with South Africa and USA, despite assurances after the 2011 World Cup that the schedule load would fall on the countries best equipped to deal with four matches in a short period. I feel Canada can surprise on the day so look out Italy and especially Namibia, Canada has qualified for all RWCs so far a feat worth noting. Argentina have improved since Mario Ledesma took over from Daniel Hourcade before the start of the Rugby Championship, introducing a note of pragmatism into a side who had become laissez‑faire, but they essentially remain a one-club team, Jaguares, and a question is whether they will next year consider players who earn their livings elsewhere. Tonga defeated Fiji in the summer but their lack of exposure to the leading teams told in Cardiff last month when they collapsed in the second half and while USA defeated Scotland in June, avoiding finishing at the bottom would be an achievement. England will be the favourites to finish top having come out of the autumn in credit. Eddie Jones has shed a layer of skin after the five-match losing run earlier in the year, dropping the experienced Mike Brown, Dan Cole and Danny Care and easing the load on his captain, Dylan Hartley, who has become co-captain with Owen Farrell. For his first 30 months in charge, Jones challenged his players to show leadership but, forsaking so much mileage as the World Cup looms, England will be led by their coaches and Farrell, whose competitive spirit was taken up by his colleagues after ineffective opening halves against Japan and Australia. Jones may be looking to replicate South Africa when they won the 2007 World Cup and he was their coaching consultant, physical and uncompromising. This section contains three teams in the top eight of the rankings. Fiji were useful in the last World Cup but in a pool with Wales, Australia and England were destined to finish fourth. The only difference between that group and this is Georgia, with Uruguay again set to bring up the rear after a year in which they beat Romania but were well beaten by Cardiff Blues and Ulster before conceding 68 points to Fiji. The match of the round will take place on the second weekend, when Wales take on Australia. Warren Gatland’s side were relieved to have last month broken their long losing streak against the Wallabies. If they did not do it in style, winning with a late penalty in a try-less encounter, that mattered less than the psychological value of simply winning. Australia have endured their worst set of results for 60 years, prompting South Africa’s World Cup-winning coach, Jake White, to inquire whether there might be a vacancy, with Michael Cheika under fire, only to be rebuffed when news of the planned telephone conversation leaked out. There you have it pretty straight forward except for Pool C where I have picked Argentine to cause an upset. I’m still critical on how the Pools are set-up with top eight nations especially when it concerns Tier 2 rugby nations. It will be the top eight nations again on paper moving out of the first round and Tier 2 rugby nations will be boarding their flights going home. I feel if World Rugby is serious in developing the game worldwide they have to make changes for the next RWC in 2023. A new Chairman coming in after Japan has the chance to lead the way for the Tier 2 Nations and make it right to give them a chance to move out of the first round at least? Maybe its time to increase the nations from 20 to 30 and the pools from 4 to six. That means a realignment of qualifying worldwide.